Who doesn’t love an Asian buffet? Just the idea of strolling along a line of fresh-cooked, Asian-inspired dishes, made with a wide variety of ingredients from tofu to shrimp, fresh vegetables to fresh sushi, tempts the taste buds. And if you have the chance to walk down not one, but two long lines of buffet options, that’s a bonus, right? All-you-can-eat? Even better. 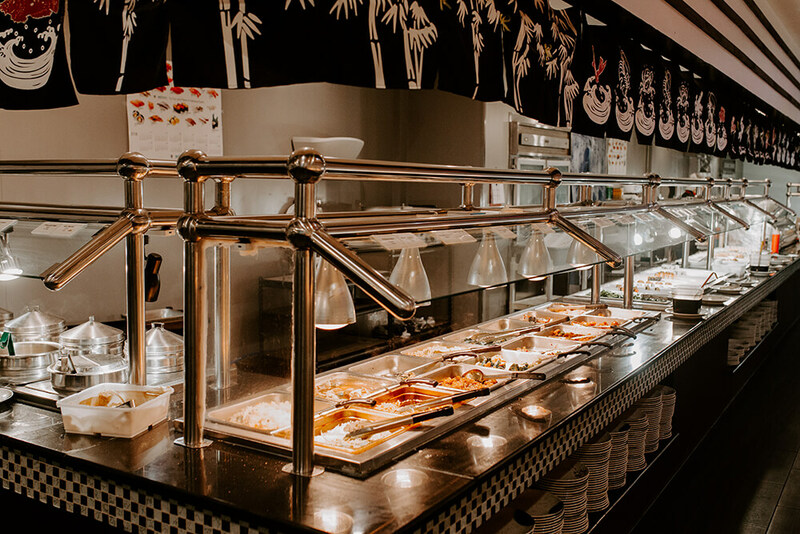 For all these reasons, walking into the casual, simple, quality buffet at Yutaka Grill and Sushi Buffet at the Farm Shopping Center is a delight. Diners who love Asian food won’t be disappointed in the array of options to choose from at Yutaka. The staples are all there for the tasting — edamame, hot and sour soup, miso soup, shrimp gyoza, shumai, barbecue spareribs, coconut shrimp, fried rice, sesame balls, spring rolls, teriyaki chicken, crab Rangoon, and vegetable tempura, to name a few. Of course, there are numerous selections for those who are more wedded to American cuisine — which is ideal for those who come with children in tow, as well as large groups of people whose tastes in cuisine may differ. Cocktail shrimp, fruit salad, bacon shrimp, asparagus, baked salmon, baked tilapia, cheese macaroni, chicken wings, and more are available. Who doesn’t love an Asian buffet? 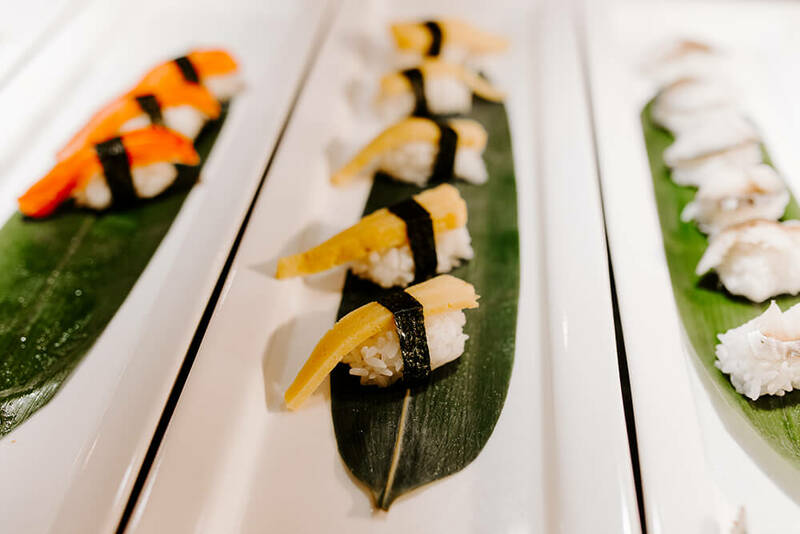 Just the idea of strolling along a line of fresh-cooked, Asian-inspired dishes, made with a wide variety of ingredients from tofu to shrimp, fresh vegetables to fresh sushi, tempts the taste buds. And if you have the chance to walk down not one, but two long lines of buffet options, that’s a bonus, right? All-you-can-eat? Even better. 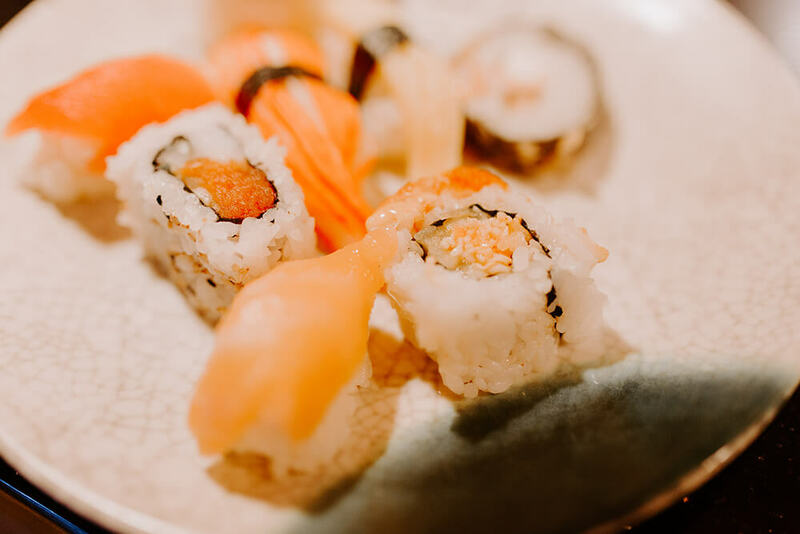 For all these reasons, walking into the casual, simple, quality buffet at Yutaka Grill and Sushi Buffet at the Farm Shopping Center is a delight. 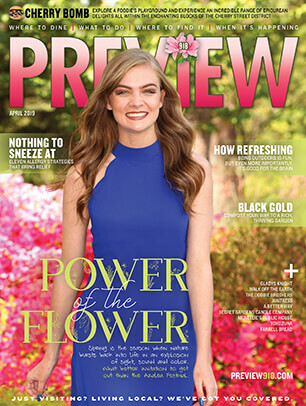 Owners Johnny and Susan Chen aim to please everyone who loves a little taste of all their favorite foods when they sit down to enjoy a special meal. The restaurant has been open since 2015, and it’s a popular spot for buffet fans of all ages. The restaurant is casual, with laid-back seating and a television so visitors can catch a bit of news or sports. Everything is self-serve except the drinks, which will be brought out by the wait staff. This makes it easy to drop your belongings at a table and go back again and again for seconds and thirds of your favorite dishes. It’s perfect for families, since there’s plenty to choose from, as well as a relaxed atmosphere welcoming to young children. Diners who love Asian food won’t be disappointed in the array of options to choose from at Yutaka. The staples are all there for the tasting — edamame, hot and sour soup, miso soup, shrimp gyoza, shumai, barbecue spareribs, coconut shrimp, fried rice, sesame balls, spring rolls, teriyaki chicken, crab Rangoon, and vegetable tempura, to name a few. 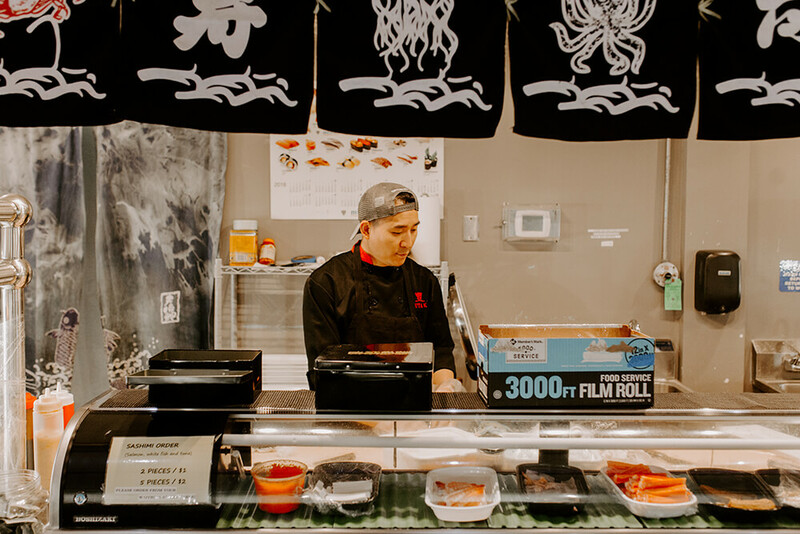 Yutaka also features a delightful array of sushi made fresh including classics like the Alaska roll, California roll, Dragon roll, Philadelphia roll, and many others. It’s a great selection for the price. 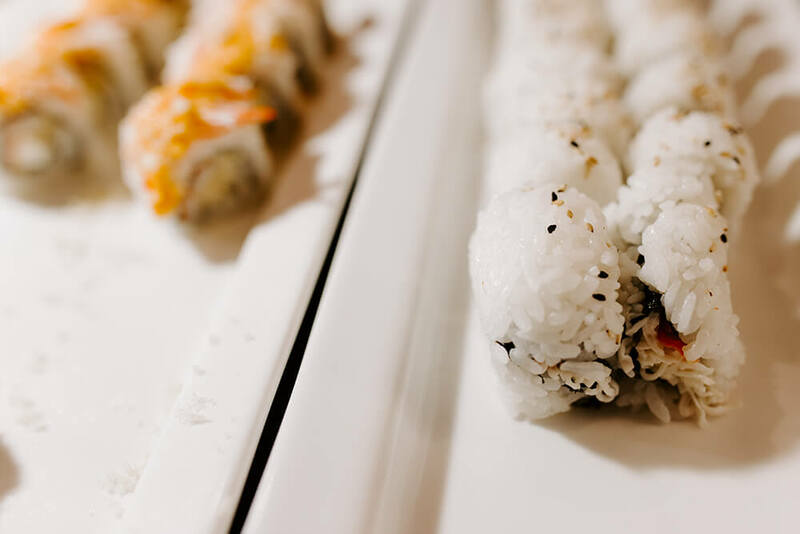 And the simple classics available provide a convenient, easy entry into sushi stylings for those who may not be too familiar with this ever-popular food. Much of the seafood in Yutaka’s sushi is cooked, so there’s no need to fret if you worry about eating raw fish. And there are purely vegetarian options like the California roll for those who enjoy sushi but don’t want to eat meat. There are other tasty treats available as well that diners may or may not be as familiar with, depending on how often they’ve eaten Asian meals. But the adventurous should definitely try delectable items like the baby octopus and kimchi. And if you enjoy seafood, keep an eye out for items like shrimp, salmon, crabs, clams and mussels, which are also normally available daily. Of course, there are numerous selections for those who are more wedded to American cuisine — which is ideal for those who come with children in tow, as well as large groups of people whose tastes in cuisine may differ. Cocktail shrimp, fruit salad, bacon shrimp, asparagus, baked salmon, baked tilapia, cheese macaroni, chicken wings, and more are available. Don’t forget about the fresh grill options. 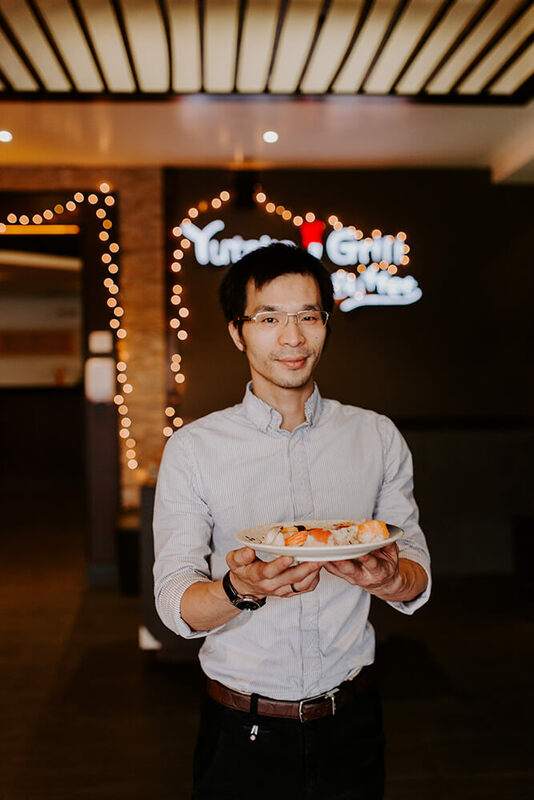 Yutaka’s grill can handle a variety of meats — shrimp, squid, crab, beef and chicken — and vegetables mixed to your taste and grilled fresh. The hibachi is only available during dinner, though, so plan accordingly. There are other items typically only available at dinnertime as well — flounder, beef tenderloin, coconut shrimp, and tuna sushi among them. 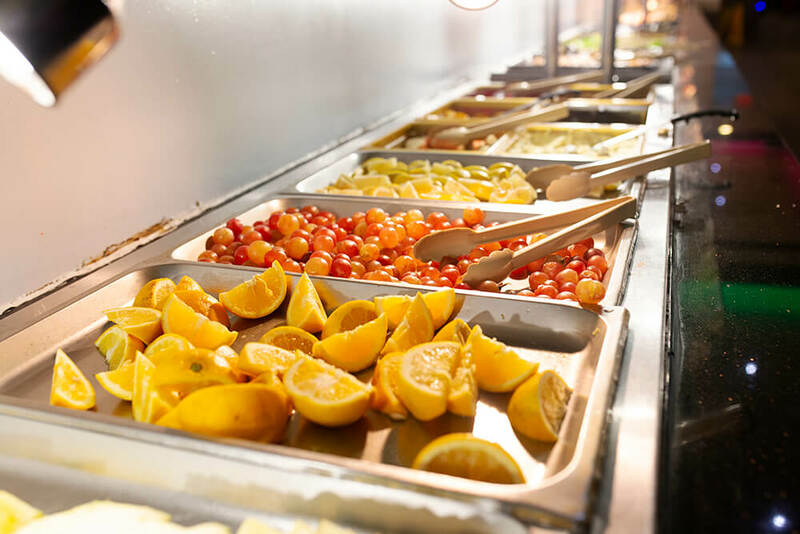 Keep in mind that Yutaka’s buffet can accommodate those with vegetarian and vegan needs. And if you’d enjoy a little buzz with your meal, ask about their beer and wine options.